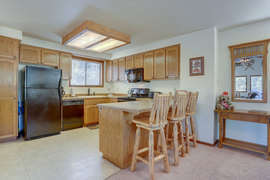 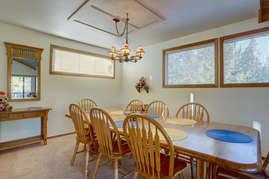 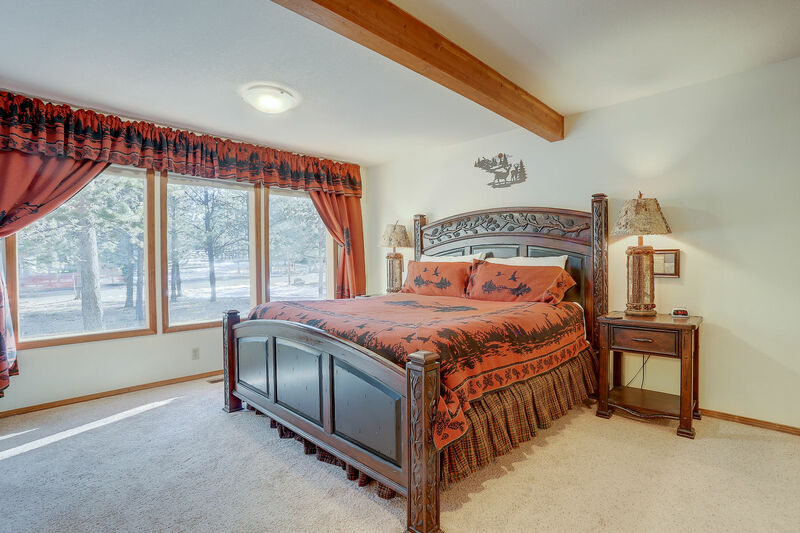 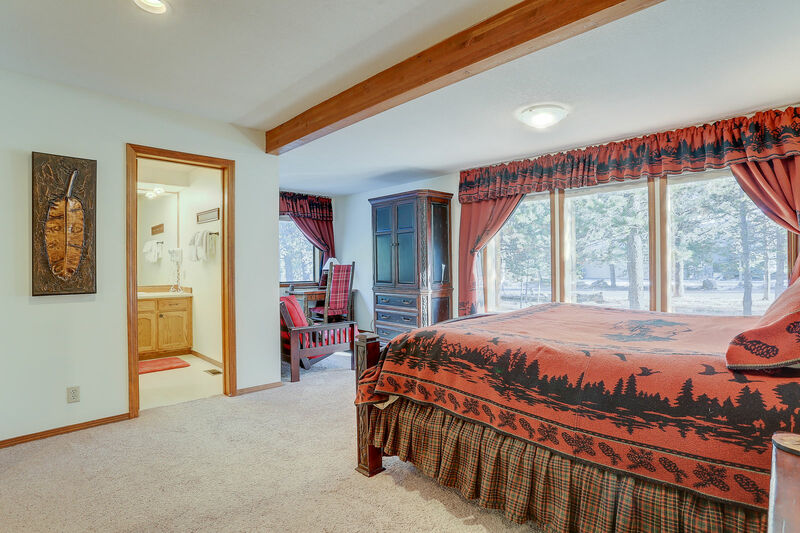 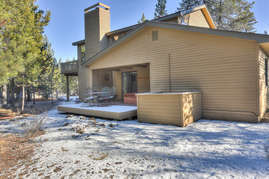 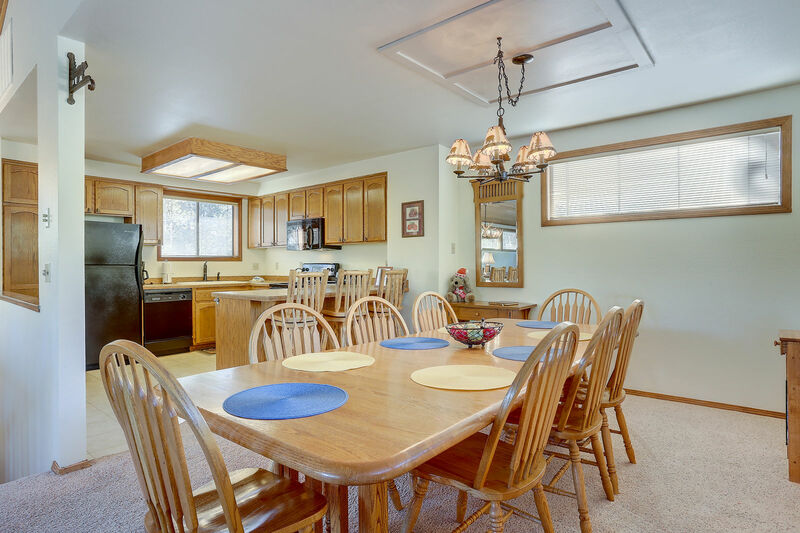 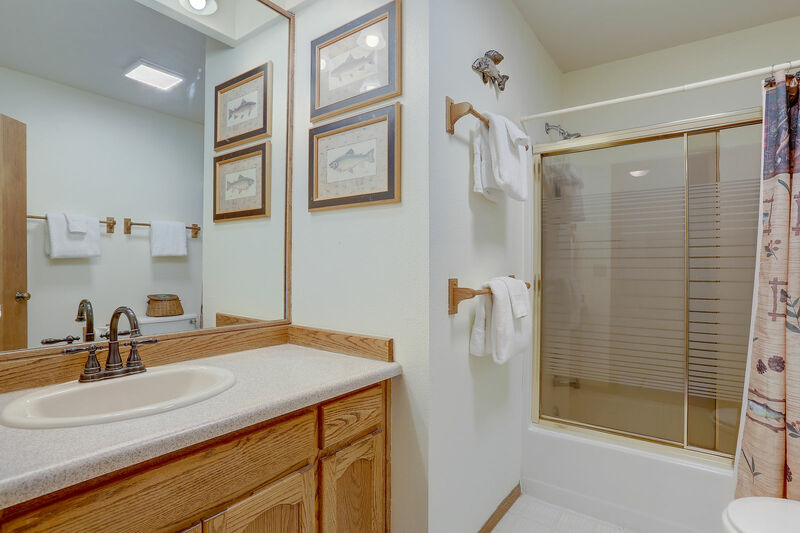 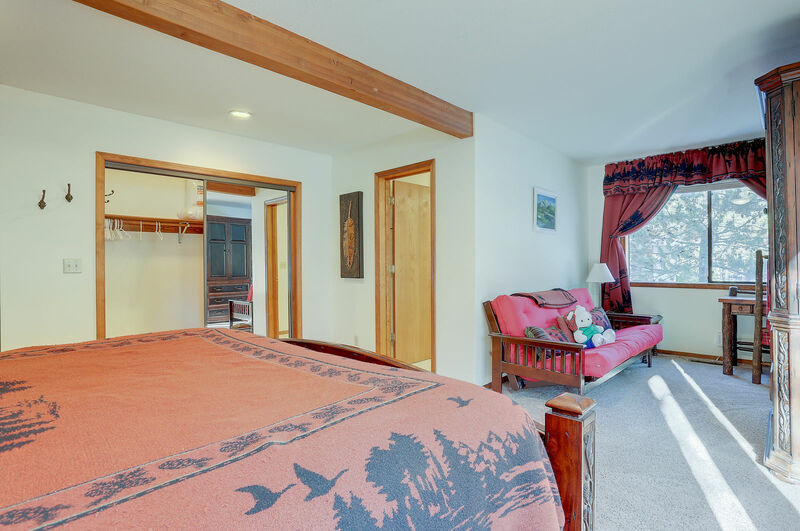 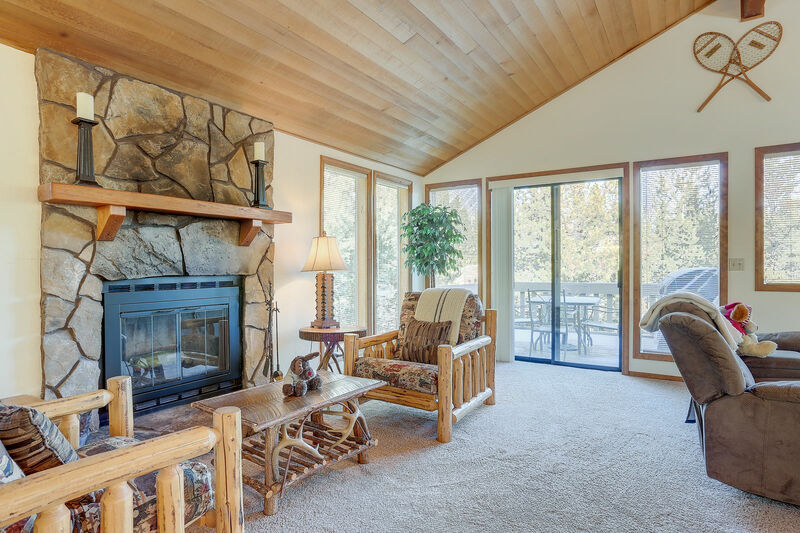 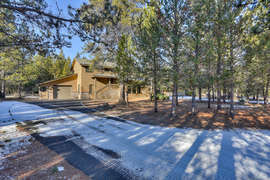 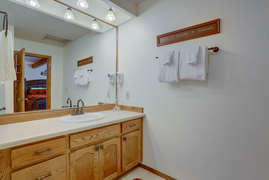 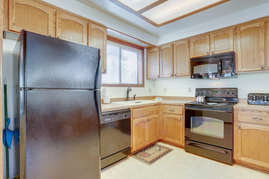 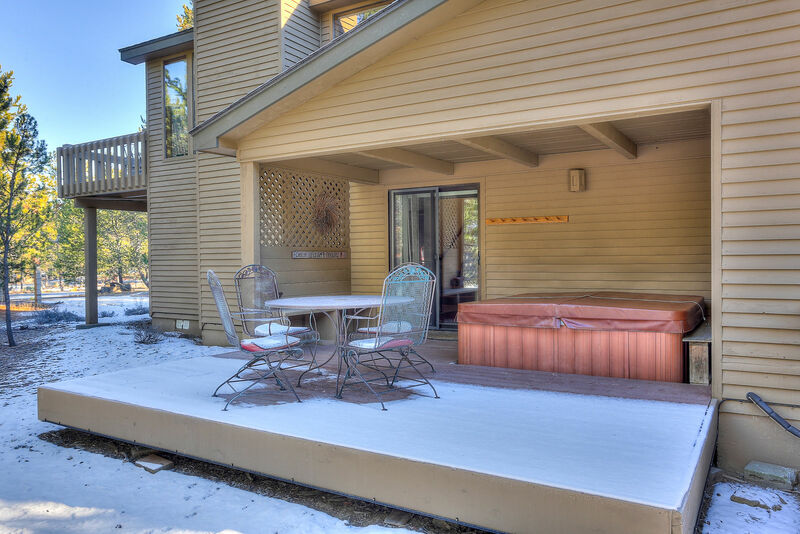 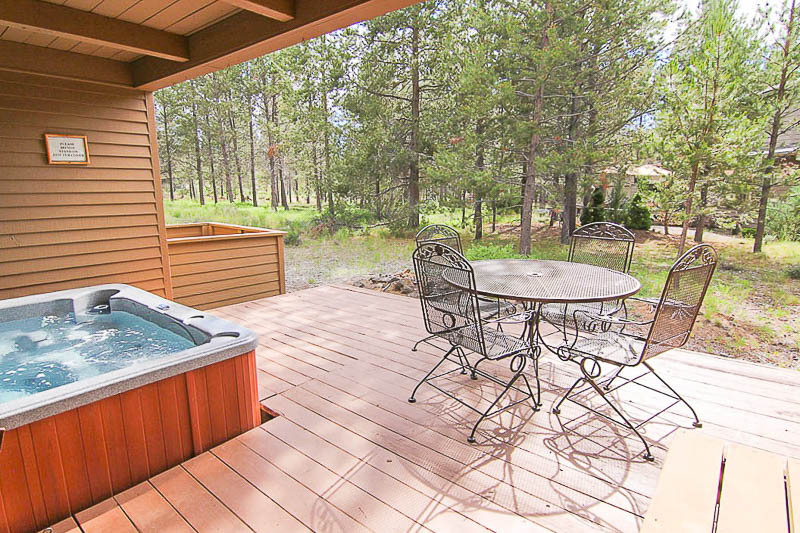 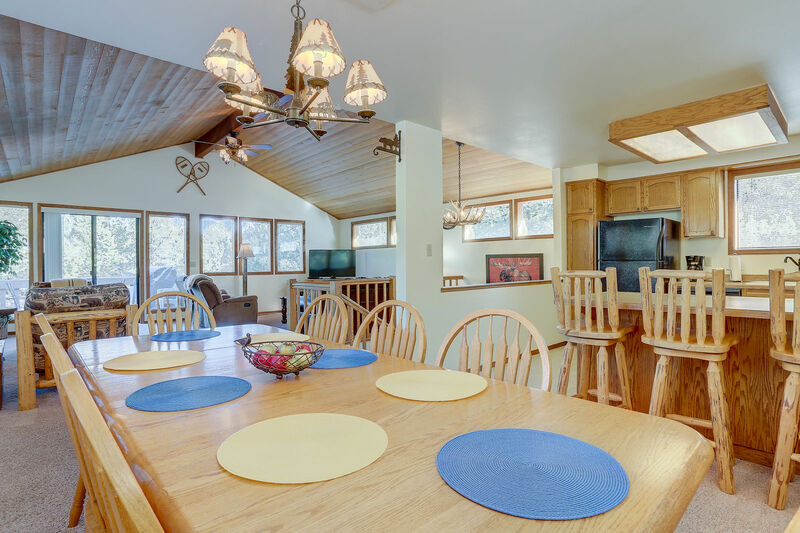 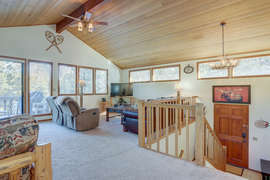 Located between Fort Rock Park and the River, this home is a Sunriver favorite! 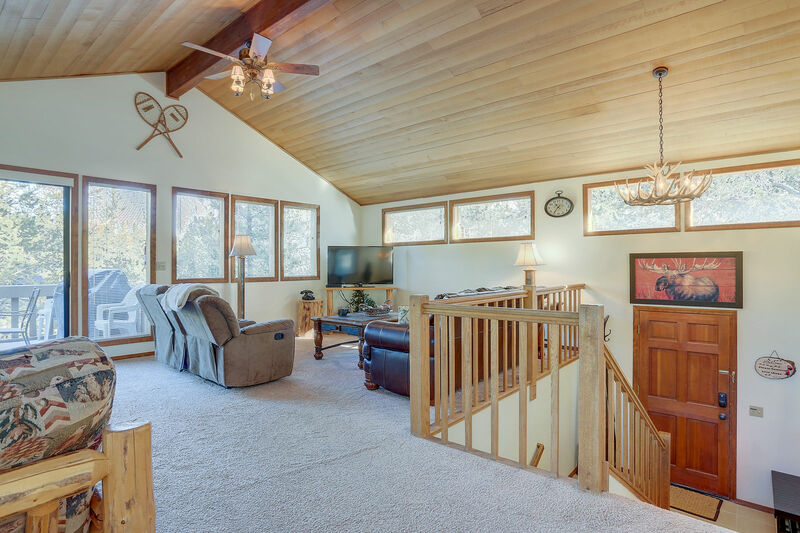 With just over 1900 sq ft, this spacious 3 bedroom + Family Room, 2 Bathroom home gives you plenty of room to spread out...or get cozy with family and friend. 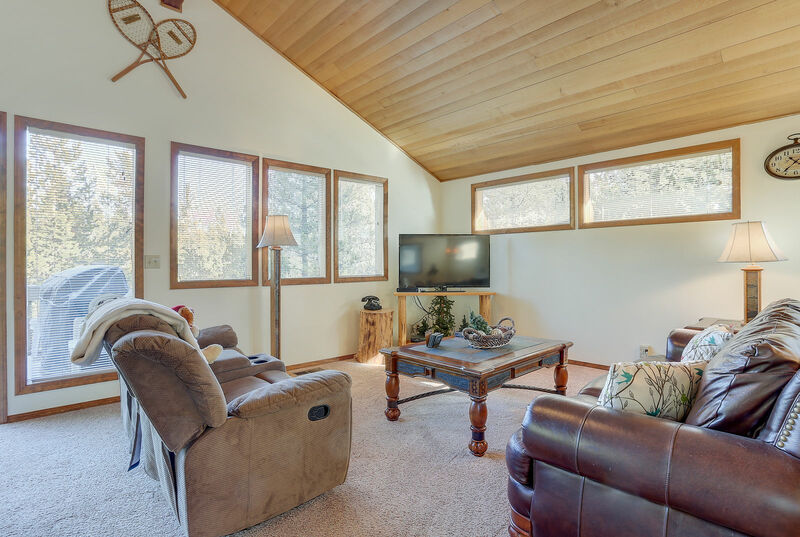 Cuddle up next to the wood burning fireplace and enjoy the open living area while watching your favorite shows on one of the flat screen TVs, as the chef of the group prepares a delicious home-cooked meal in the fully equipped kitchen. The kitchen has all the appliances and everything you'll need to create a feast - crock pot, pots/pans, dishes, glassware, blender, roasting pans, utensils, and coffee pot, among other things. 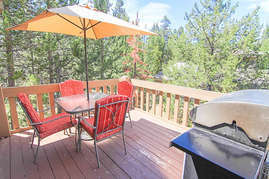 There's also a great BBQ located on the upstairs deck, with plenty of patio seating, so you can be grilling up a delicious meal while soaking in the nature and beauty of Sunriver. After a fabulous meal, you can retreat to the lower deck for a relaxing soak in the private hot tub surrounded by pine trees. 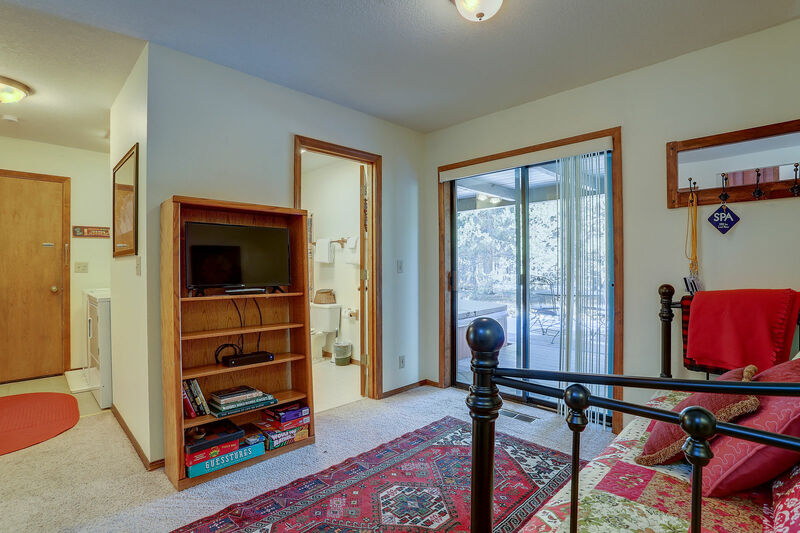 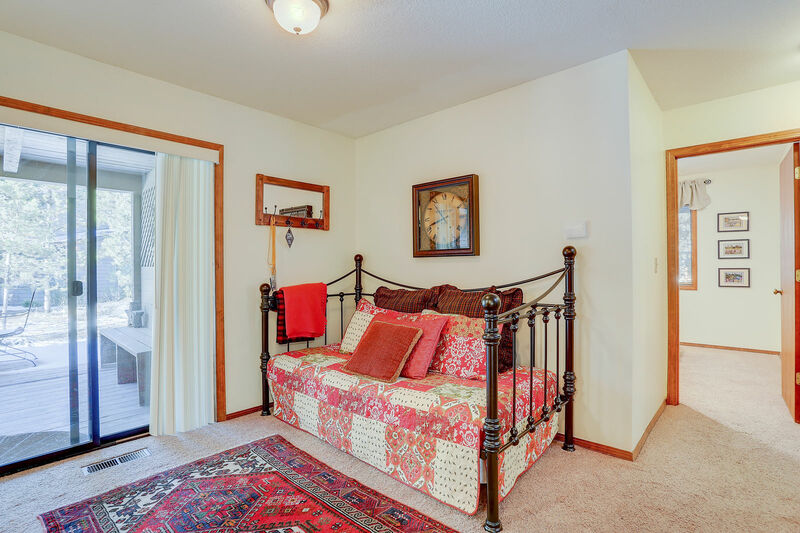 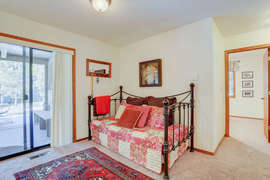 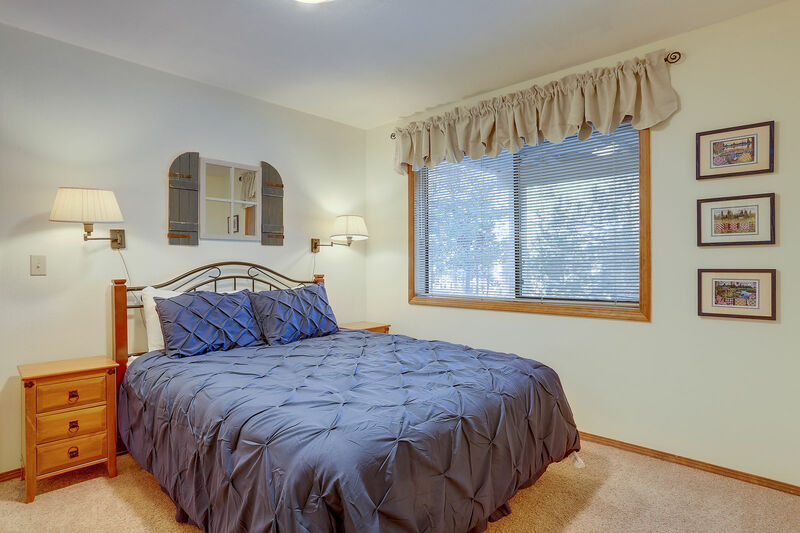 The roomy master bedroom has large windows, letting in lots of light and features a quiet area with a desk and a futon that would be perfect for a child to sleep in, if necessary. 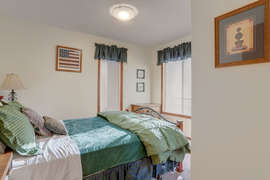 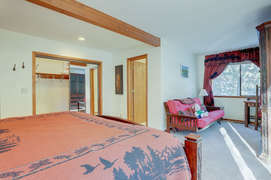 Bedrooms 2 and 3 both have Queen size beds that are so cozy you may have trouble leaving them behind in the morning for your cup of coffee by the fire. FREE Wifi is available throughout the home and can be enjoyed along with any of the 3-flat screen TV’s. 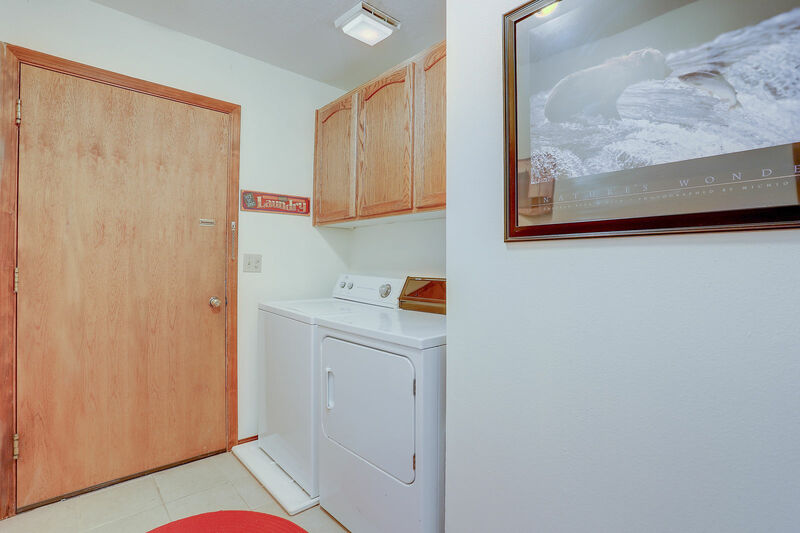 There's also a Washer and Dryer in the home for your convenience. 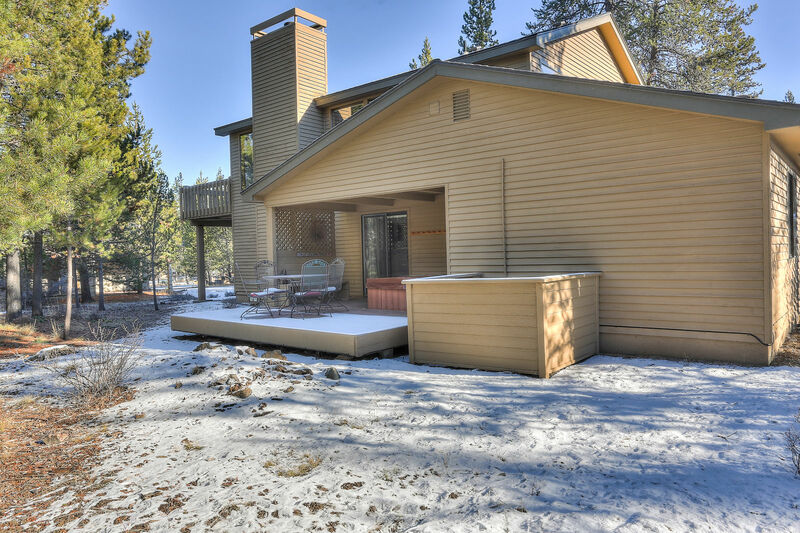 This is one of the select few homes in Sunriver that has air conditioning, which is an added bonus on those warm summer days! 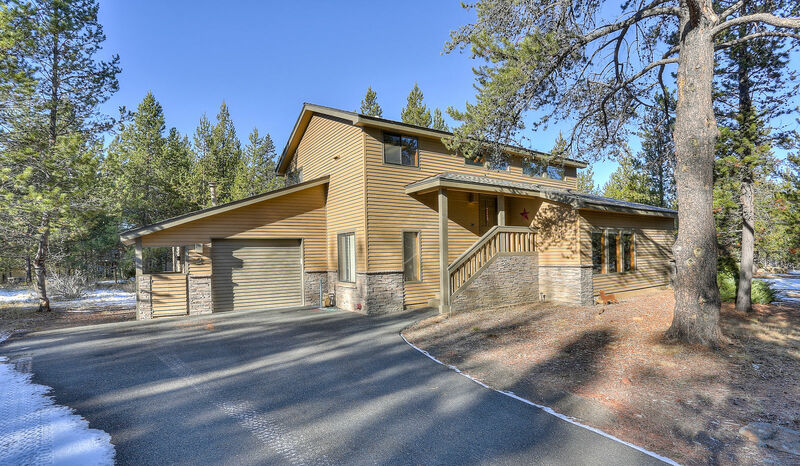 Sunriver also has excellent bike paths to enjoy with the whole family, and this home has 6 bikes for your riding enjoyment …. 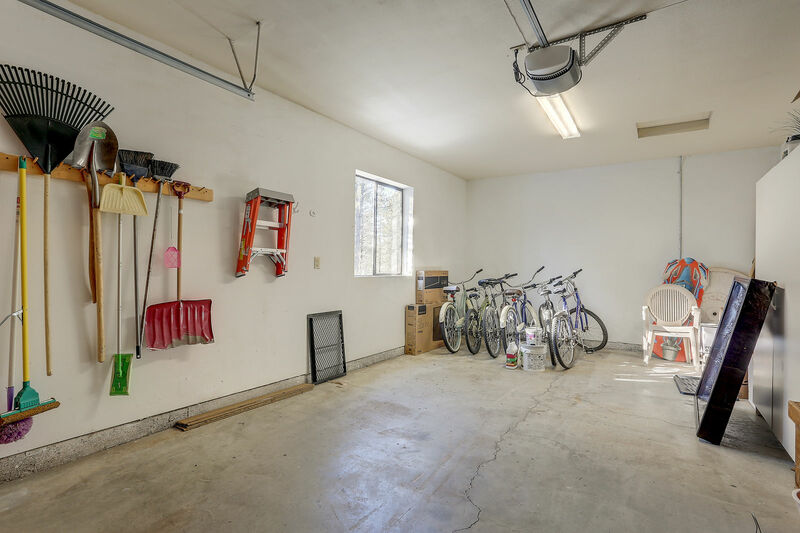 just remember to bring your helmets! This home comes with 8 unlimited use SHARC passes, too!